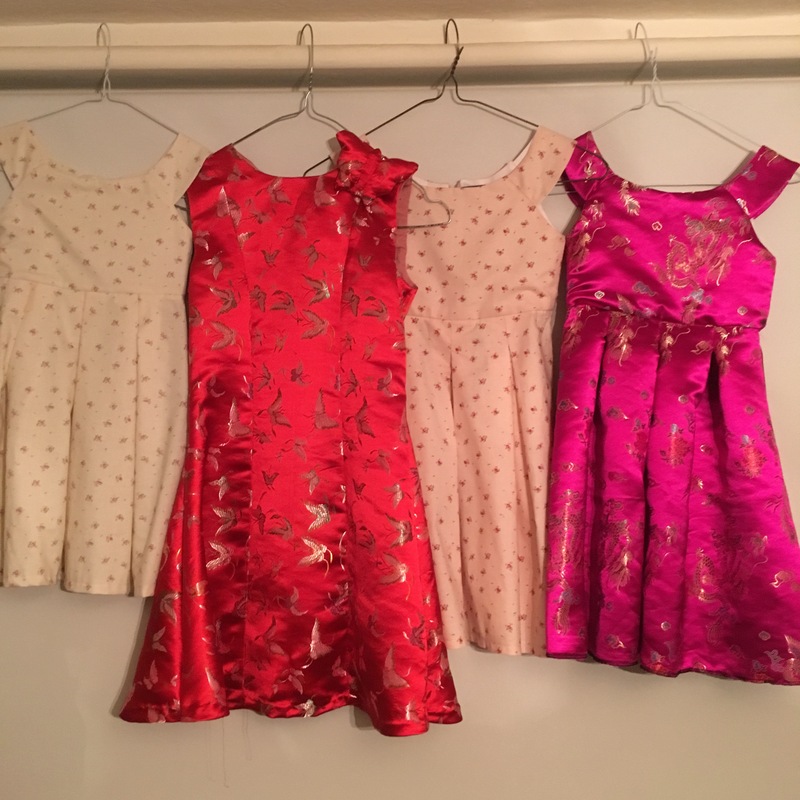 Christmas is rolling in fast, and these dresses won’t make themselves! It’s time to look after the rest of the nieces… bring on New Look 6205. 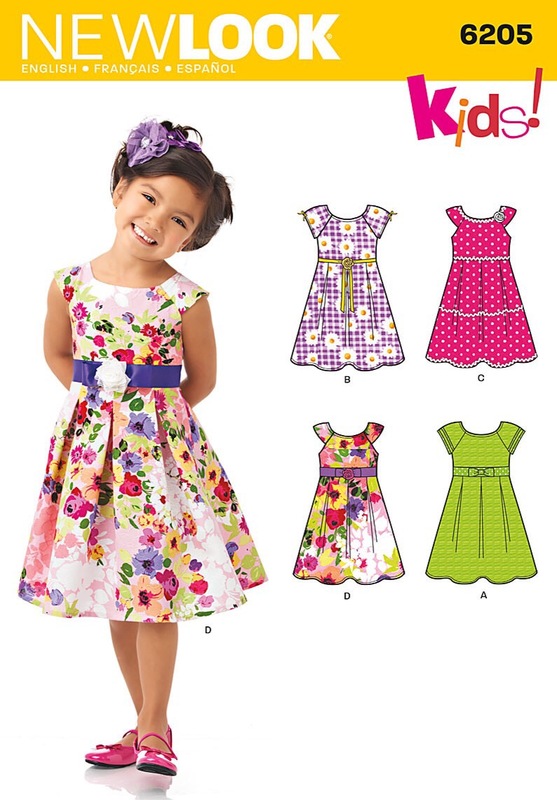 A cute little dress for ages 3-8. I was going to make four of these, (annoyingly) in three different sizes. But the fabric I’d chosen for the largest size (age 8) wasn’t big enough. The pattern calls for almost a metre and a half, but I only have 1m of each. As luck would have it, I could just about squeeze out a New Look 6360 in an 8yr from 1m, so sisters have matching fabrics in different styles. Thankfully the pieces aren’t too big so it hasn’t eaten up too much of my stash of Swedish tracing paper. Label each size of paper pattern in a different coloured pencil. Mark each fabric piece with masking tape on the wrong side, using the same colour code for continuity. Tidy up as I go along. Put pattern pieces into separate envelopes once they’re used. Choose fabrics that will all go with one colour of thread. 1. 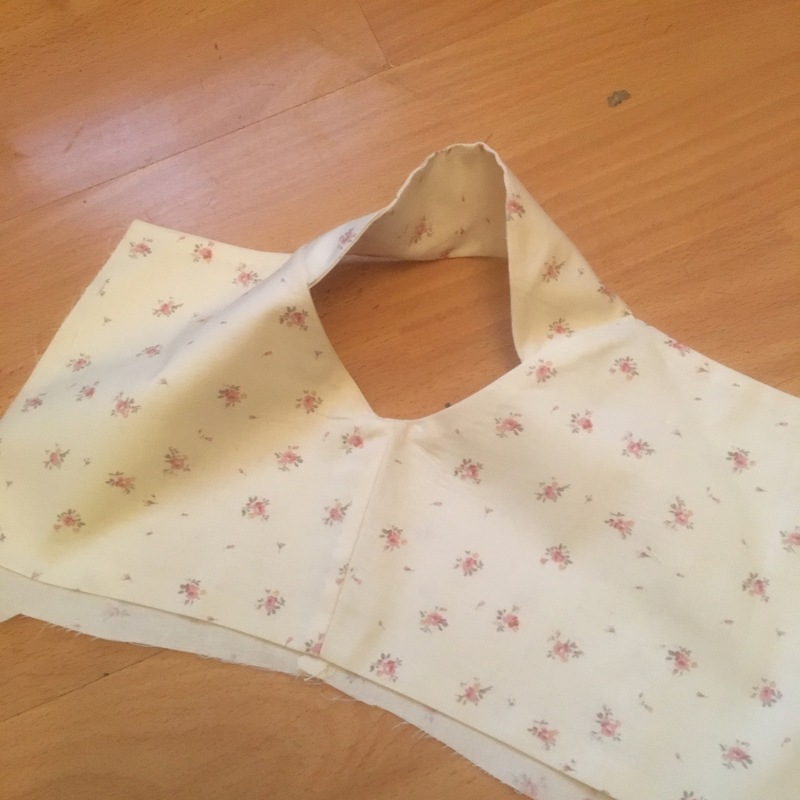 Sew up the side seams on the bodice & bodice lining. 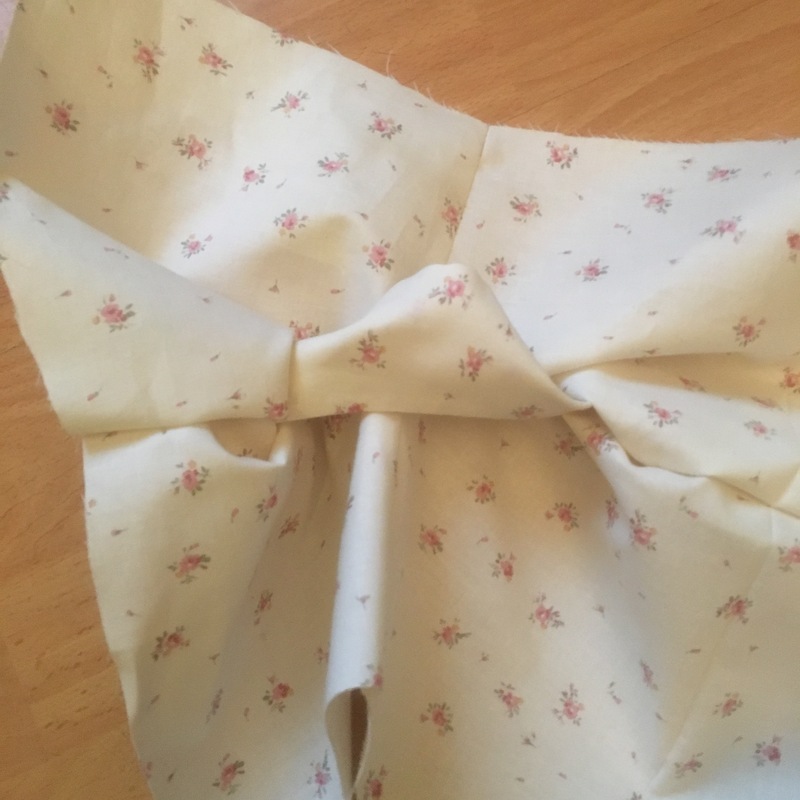 Trim the seams with pinking shears and press open. 2. 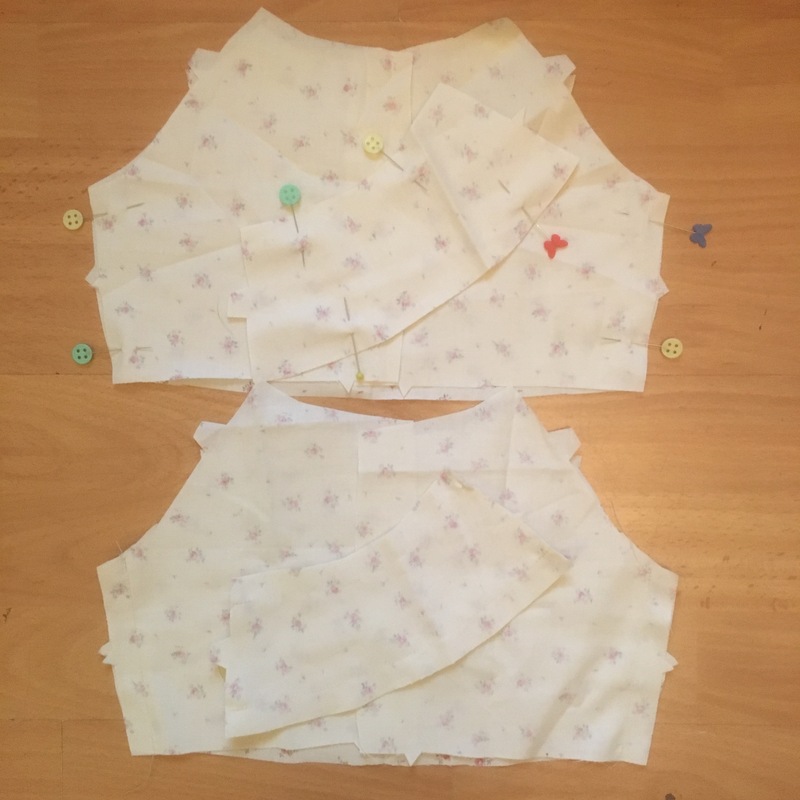 Sew both the outer and inner curves of the sleeves (I’m doing option D). Pink the seams then turn them right sides out and press. 3. 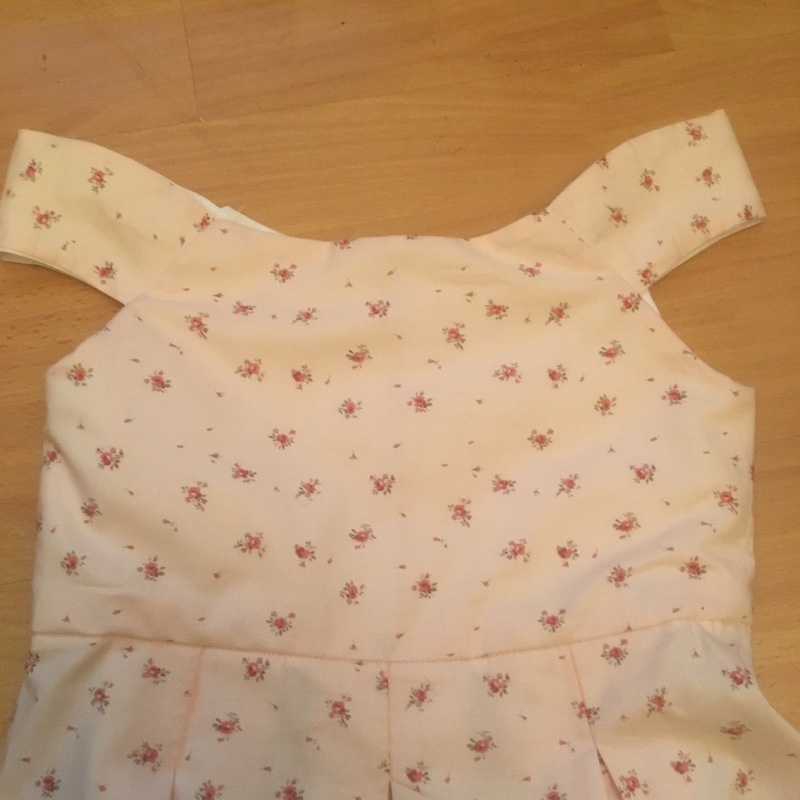 Pin the sleeves on to the outer bodice. Make sure they are in the right direction. Baste. 4. 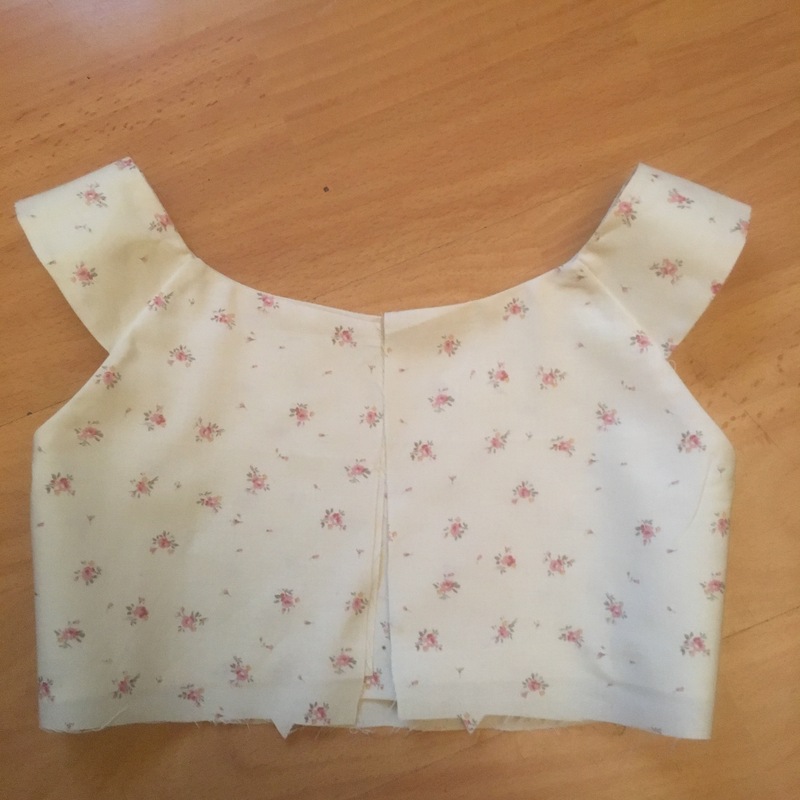 Carefully pin the lining onto the bodice, right sides together with the sleeves inside. It’s important to make sure the sleeves aren’t twisted or folded over, and that they line up with your 1.5cm seam allowance at the neck edge. 5. 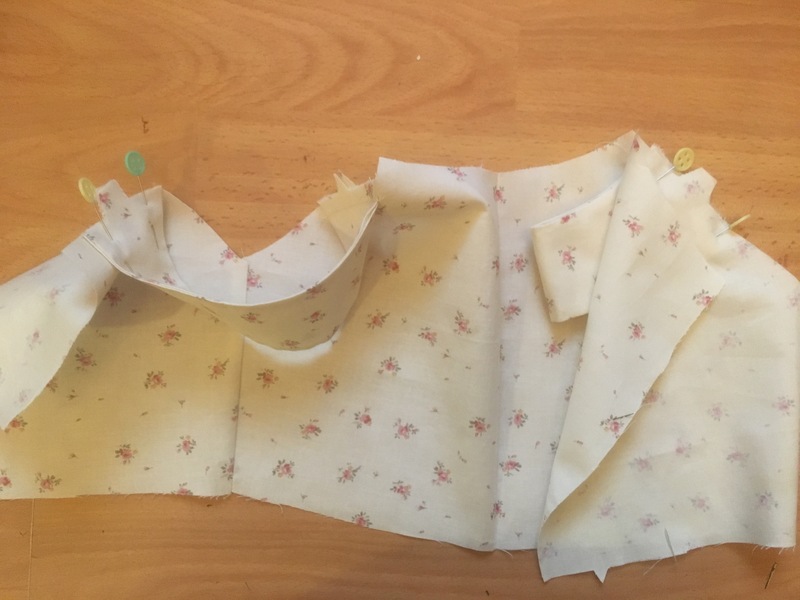 Sew bodice & lining together along the seams, stopping and checking each section is flat as you go. Pink the seams, turn it through & press. 6. 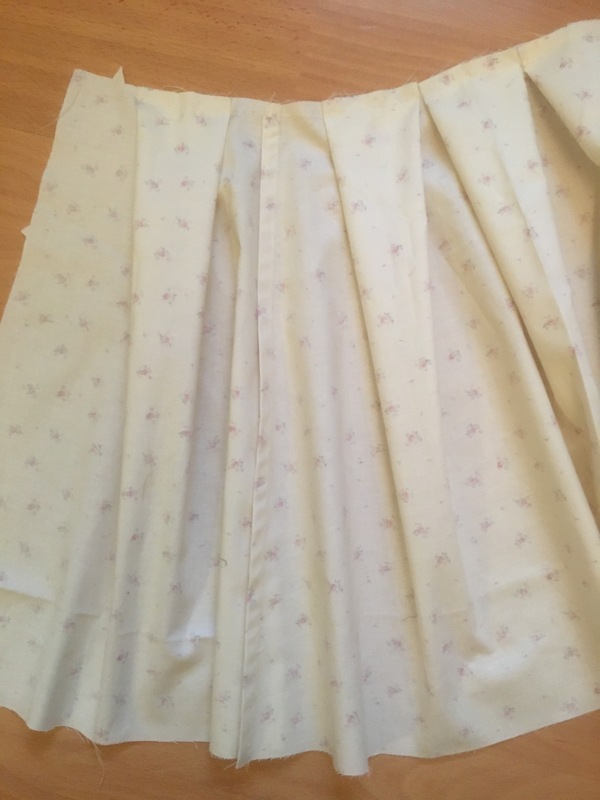 Fold up and press 1.3cm hem on the waist of the lining piece. 7. 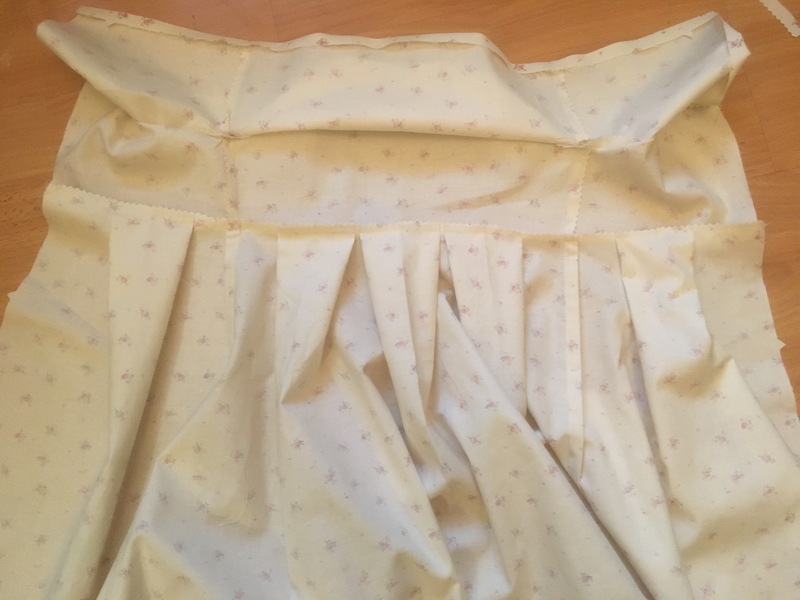 Make French seams on the skirt side seams: 1st sew with wrong sides together at 5mm. Trim, turn & press right sides together. Then sew again at 10mm, concealing the raw edges into the seam. 8. Mark and pin the pleats. 9. Sew the pleats, open them out and baste in place. 10. 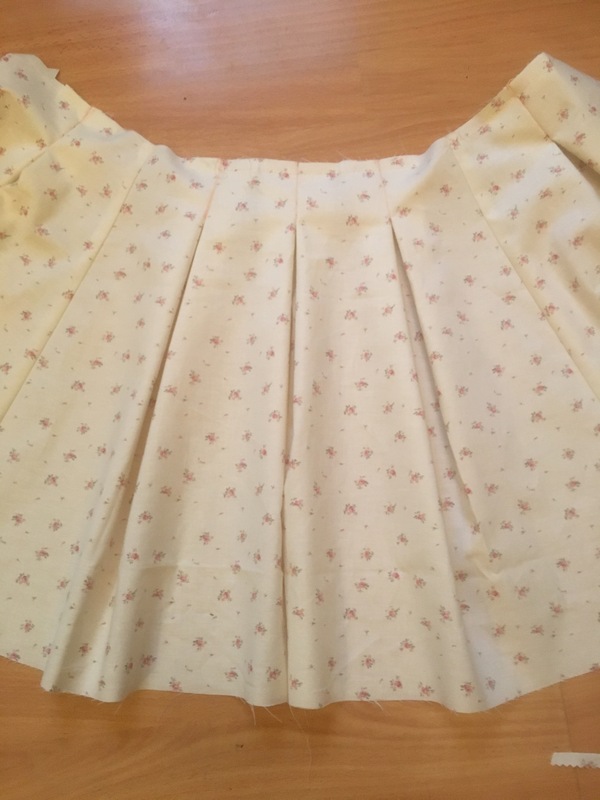 Match the side seams and notches to pin & sew the skirt to the bodice. 11. 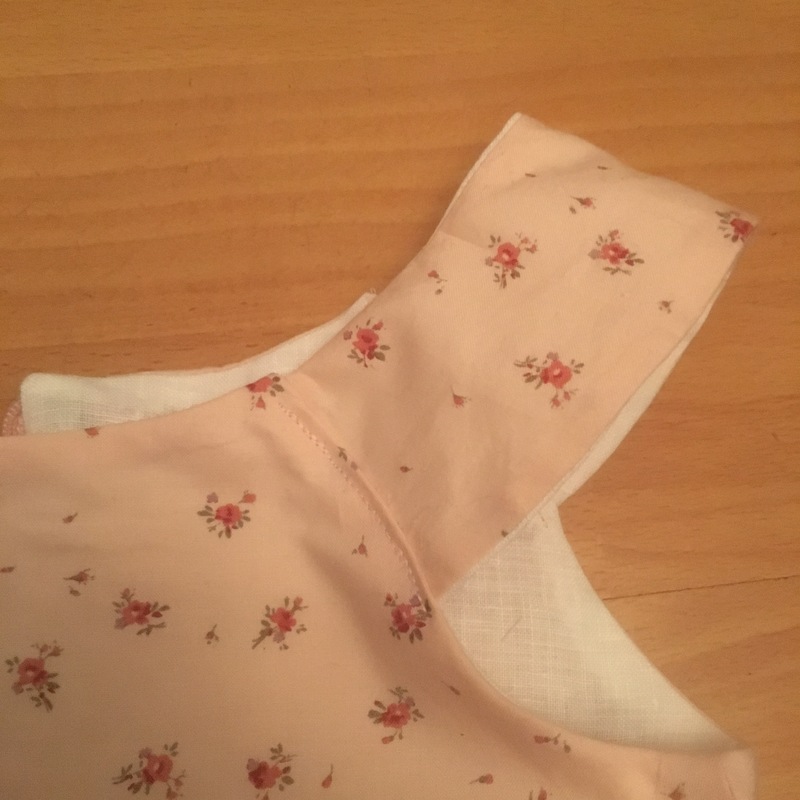 Finish the raw centre back seam (I used my overlocker). Then sew the back seam from the hem to the zip mark and backstitch securely. Change stitch length to the longest and continue basting up to the neck edge. 12. 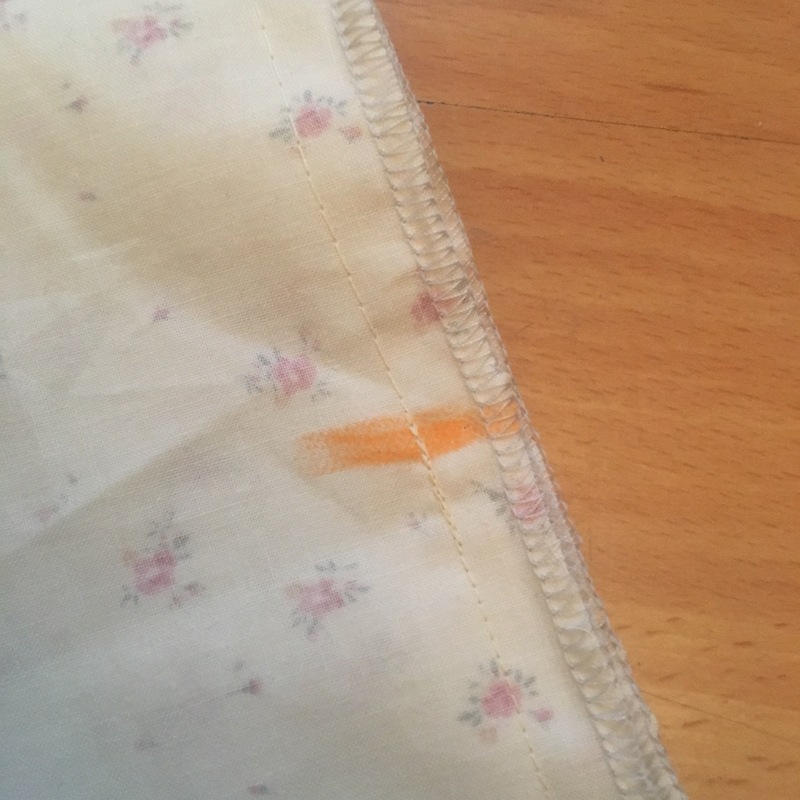 Press the seam open and glue baste the zip to the seam allowance, centering the teeth on the seam line. For added security, I also pin it from the right side, then using a zipper foot, sew the zip on. … down one side, across the bottom, back up the other side. Unpick the basting and try the zip out. 13. To attach the facing on the inside, I fold the zip tape ends into the facing. 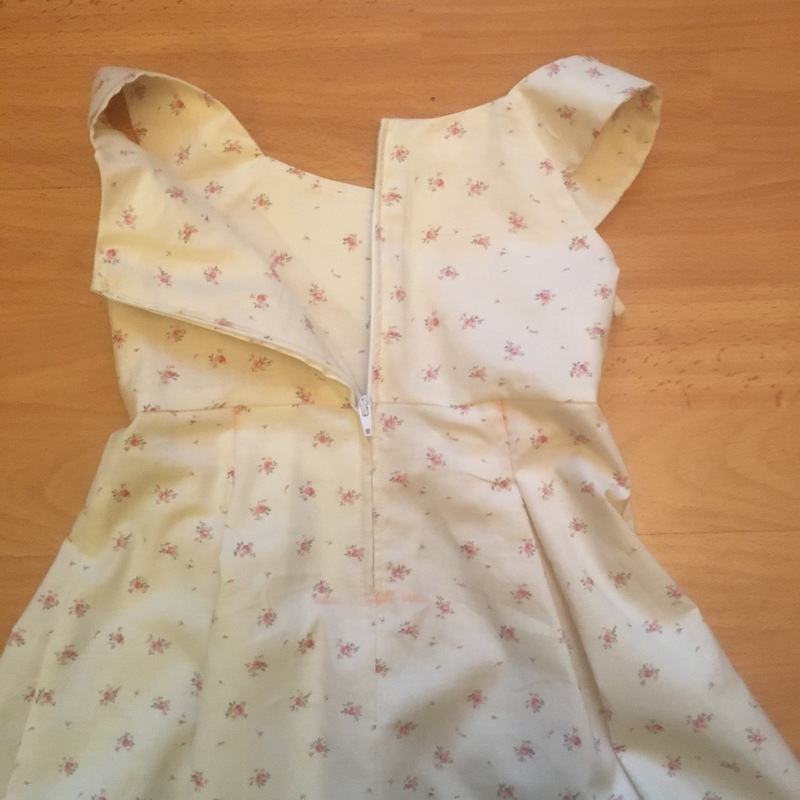 Fold the facing edge’s seam allowance down, pin it to the inside of the zip tape then follow the stitch line from the front to secure it in place. 14. Pin the folded seam of the bodice lining over the stitch line of the bodice/skirt seam. 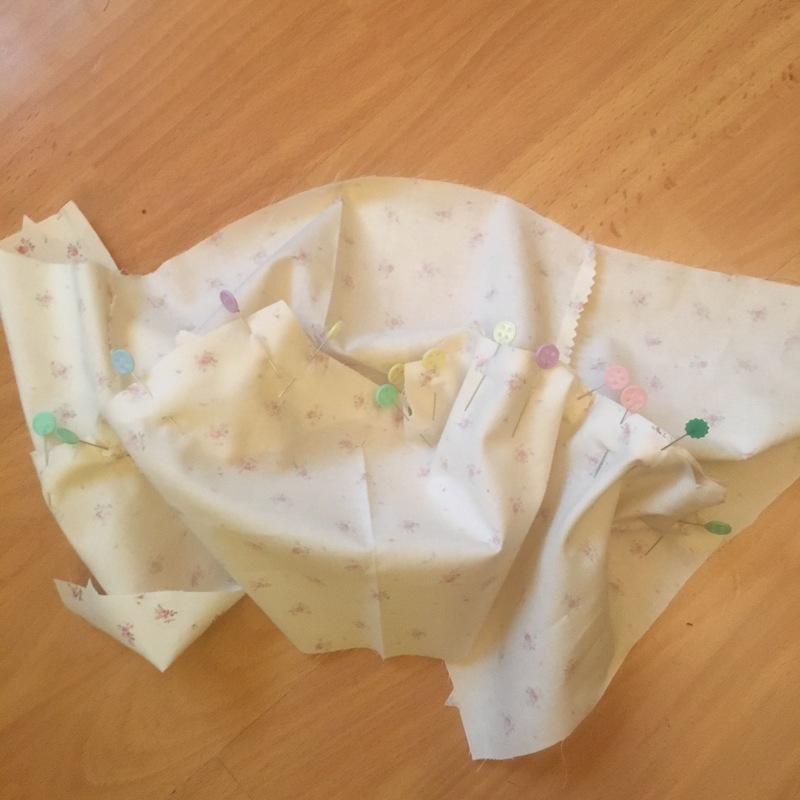 Pin it from the right side & stitch in the ditch from the front, catching the lining at the inside. 15. 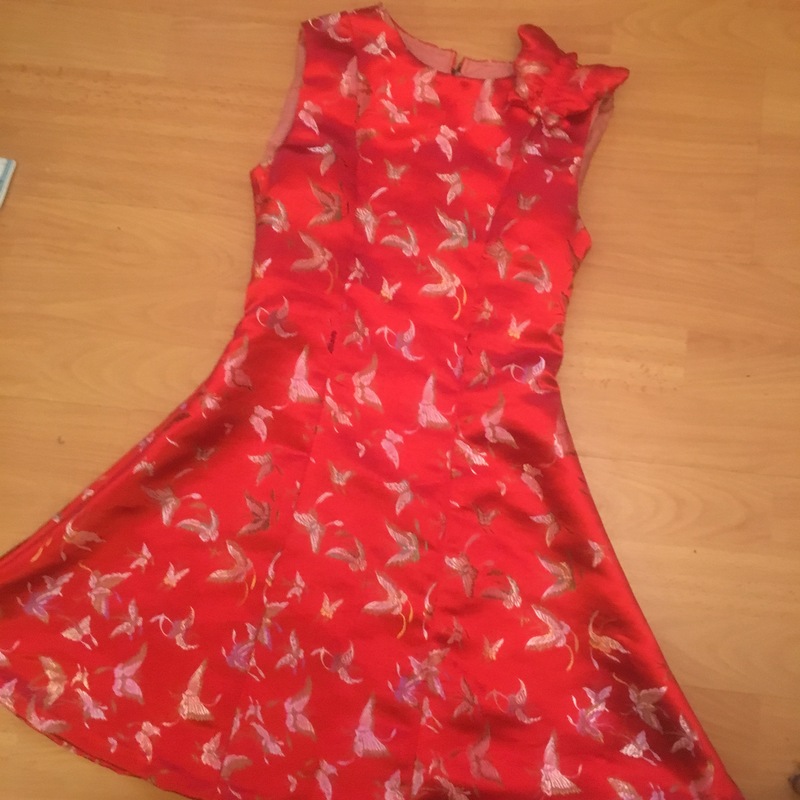 Finally, just the hem to go. 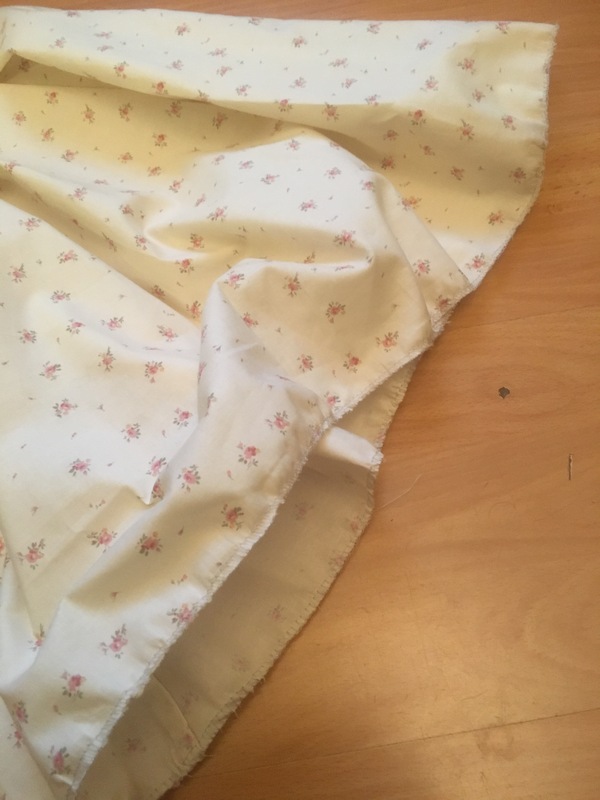 I whiz around this with the overlocker set to gather and this takes up enough of the slack to stop the hem puckering as it gets pressed up. Then I top stitch it from the front. A good press and it’s all done. 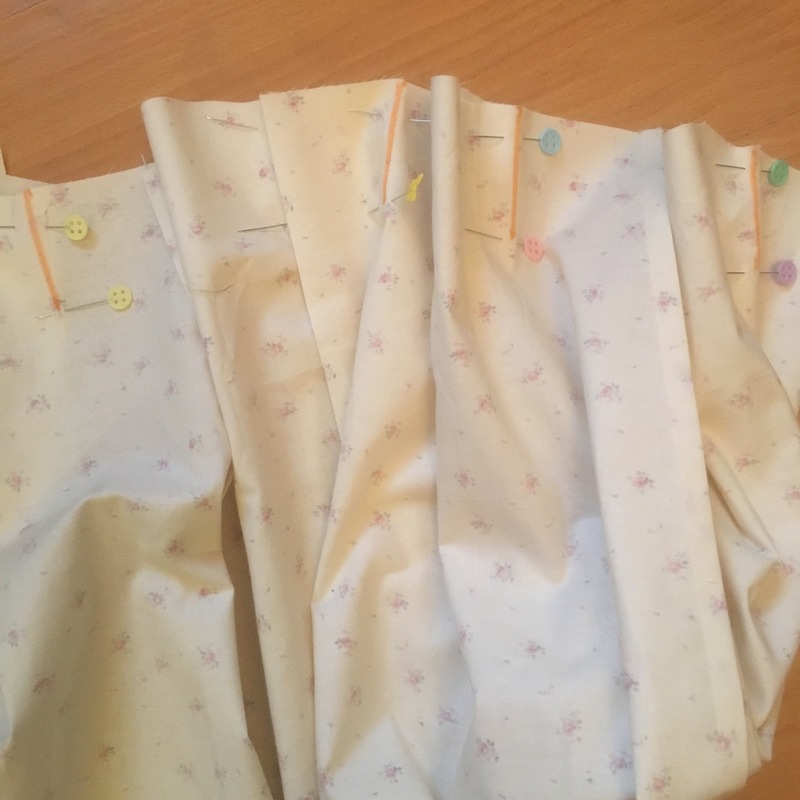 Sadly, I’ve put the sleeves in the wrong way round on one of them, so I’m going to try to unpick them and topstitch them back in. Very annoying, but even more reason to pay attention at step 3. 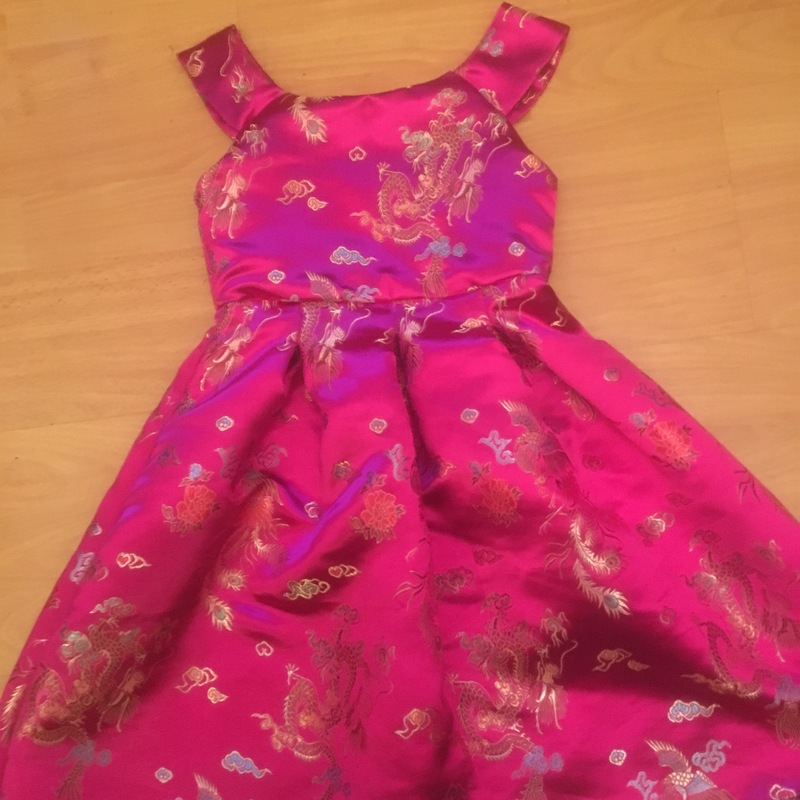 It was my first go with the Chinese style silky fabric. I used the walking foot on those ones to keep the fabric feeding evenly. The big problem was just as I was giving the bigger one a final press, I had the iron too hot and burnt the shoulder. 3rd degree. 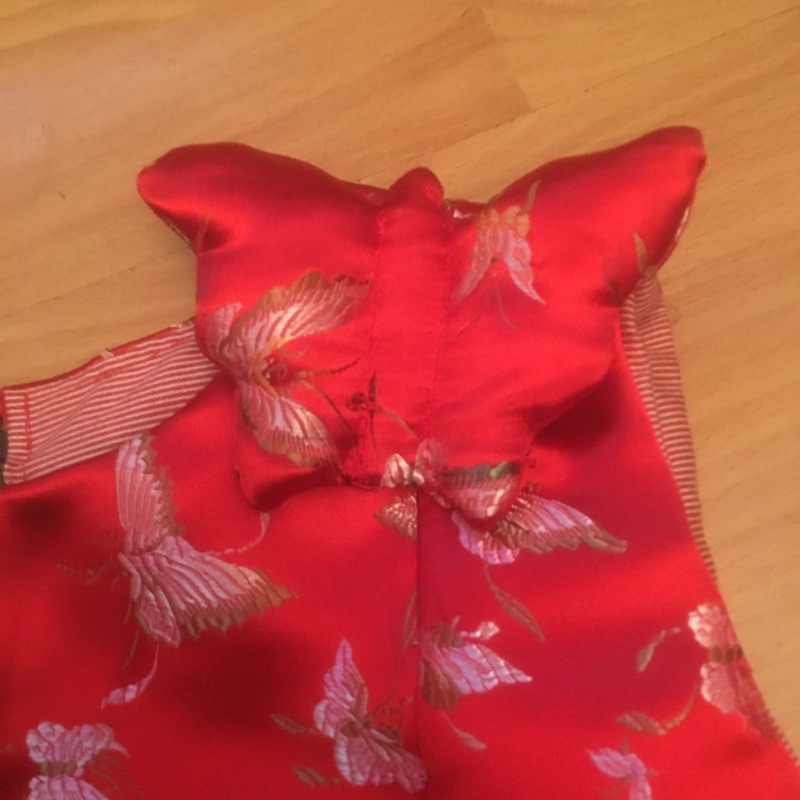 I was completely gutted, then MrA came to the rescue and suggested making a 3D butterfly to stitch over the scarred shoulder strap. HERO! All is saved. So that’s all the girls dresses made for Christmas. Phew! There’s still some more Christmas sewing to do, if I don’t run out of time! And I’m really looking forward to doing some more menswear soon. 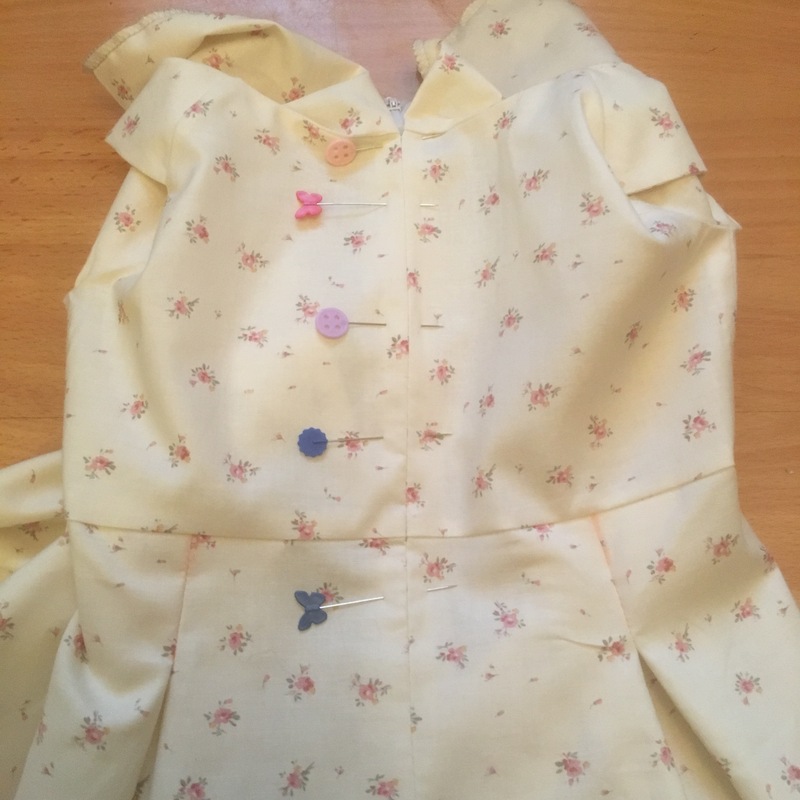 Check everything is pinned the right way round before sewing it. Use a pressing cloth & check iron temperature on scraps first. 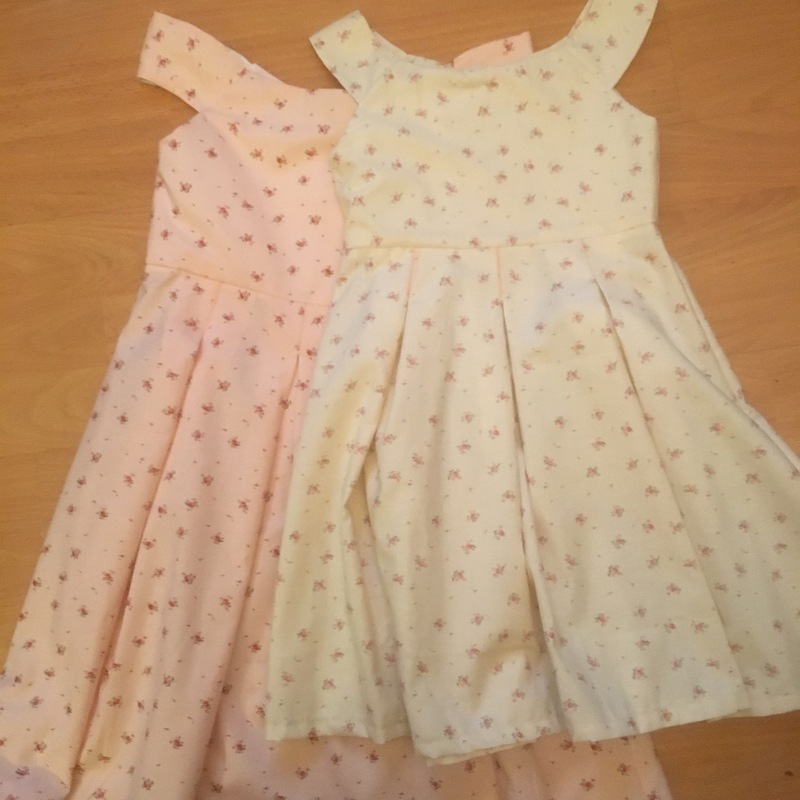 Cute dresses. Love to see them on. So cute! Your nieces are very lucky!! Thank you… let’s hope they think so too!